Fare for the Glider system in Belfast are to rise. Translink has announced fares are to increase on many of its bus and rail services next month. Fare changes on Metro/Glider, NI Railways and Ulsterbus will come into effect from Monday April 1. On average, fares will increase by 2.6% but Translink said many "best value" fares have been held and discounts of around 25% will continue to be available using 'Smart' tickets. 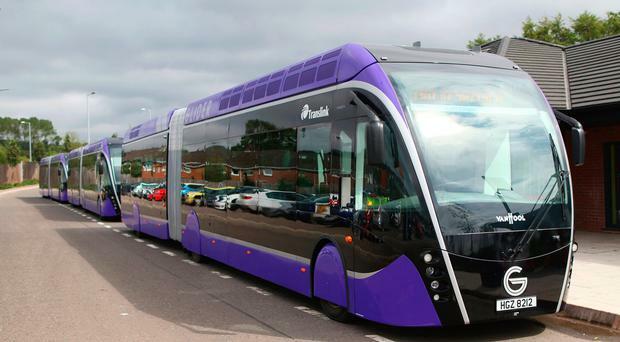 Chris Conway, Translink Group chief executive said: “We have worked hard to keep fares low by keeping our costs down and attracting record numbers on board over recent years with new services including Glider and Urby. Richard Williams, head of transport at The Consumer Council said: “This increase broadly compares with recent average bus fare increases of 4.6% in England, 5.3% in Scotland and 2.5% in Wales, and average rail ticket increases in England and Wales of 3.1%, and Scotland of 2.8%.